9/21/2012Share this story on Facebook! 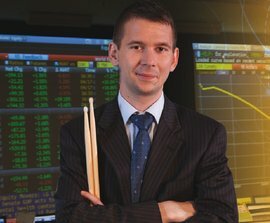 Haven't picked a major yet? That's okay — about 20 percent of the annual incoming freshman class hasn't either. The Exploratory Program can help future graduates figure it out. Learn more about the Exploratory Program. Music was always a big part of Mike Severo’s life. He loved playing the drums. But when it came time to go to college, he wanted to pursue something that he felt would offer a little more stability for the future. The big question was what to study. If searching through the course catalog gets overwhelming and choosing a major seems daunting, Ithaca College’s Exploratory Program may be the right choice. Exploratory students have up to four semesters to sample a diverse course load that can help pinpoint their interests before they declare a major. Severo’s freshman seminar about math and music first spurred his interest in working with numbers. His financial accounting professor later encouraged him to consider business and accounting, and they discussed the possible routes he could take in the industry. Severo decided on a major in business administration, with concentrations in accounting and finance, and a minor in economics. He says his exploratory classes gave him reasoning, communications, and analytical skills—experience that he applied to his internship at investment bank FBR and made him more well-rounded. “The classes I took as an exploratory student definitely shaped who I am today,” he says. Karla Lopez ’14 wasn’t entirely comfortable with her decision to major in business when she came to IC, so she decided to enter into the Exploratory Program to consider her options. Lopez took a variety of courses during her first semester, but it was a class on storytelling that really stood out for her. 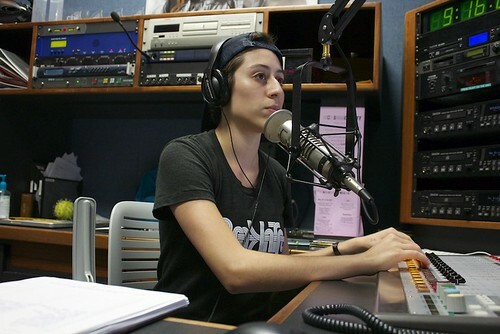 During class, Lopez analyzed how popular stories were told, and she learned to express ideas clearly and concisely—skills she now utilizes as a DJ at WICB, the College’s on-campus radio station. Lopez ultimately chose communication studies as her major, and she’s thinking about a career in radio, based on her experiences in class and on the air. One of the most important components of the Exploratory Program is academic advising. Students are paired with a faculty adviser who works with them to choose courses and discuss career goals. Exploratory students even have first pick when registering for classes. For Mia Canale ’13, talking with an adviser—who also taught her freshman seminar called Moral Psychology and the Seven Deadly Sins—helped her identify her personal preferences and interests. Those conversations contributed to her choice of speech-language pathology and audiology as her major. Severo says the Exploratory Program not only gave him the independence to discover what he liked but also gave him the personalized guidance to help him stay on track to graduate. Canale agrees. With the help of the Exploratory Program, she was able to discover a new passion in speech pathology.